Café Casino was established in 2016 and is part of the Betting Partners family that also include the very popular Bovada and Bodog casinos. This is a young online casino that has all the backing and experience from its sister companies, not to mention their reputation in the industry backing them up. Café Casino prides themselves on being a comforting and easygoing site that welcomes all U.S. players, no matter their experience levels. One of the highlights for Café Casino is that they are Bitcoin friendly! In addition to being regulated by the Kahnawake Gaming Commission, Café Casino’s software is 100% certified by one of the industry’s leading authority in regulation and certification called iTechLabs. Their games are developed by major players such as Rival Gaming, RTG, and BetSoft, so you can be assured of a high quality gaming experience. Even though most online casinos have boatloads of slots to choose from, Café Casino offers many of the most popular table games that you will find in your favorite land-based casino. From a couple different variations of Roulette like Classic American and Classic European versions , to a couple different Craps games, Café Casino has you covered. If you prefer Blackjack, they offer 8 variations of the game in addition to Baccarat, Pai Gow poker, Caribbean Stud and 3 Card poker. Café also spreads 3 Card Rummy and Let it Ride poker as well. There’s definitely something for everyone! Practice and Play American Roulette For Free here: Play American Roulette For Free! With slot providers such as RTG, Realtime Gaming, and Rival Gaming, you’re sure to fall in love with their selection and probably are already familiar with some of the most popular slot titles out there like Fruit Frenzy and Atlantic Treasures and many more. From classic slots to progressives and jackpot slots that make available many jackpots over $20,000.00, you’ll definitely find machines that you groove with and you’ll have a blast doing it. Winning is highly encouraged! Try Slots For Free here: Play Champs-Elysees Slot Game for FREE! 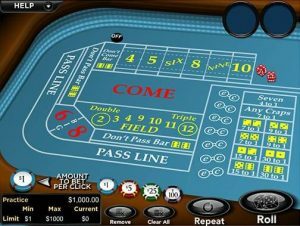 Any reputable casino will have a section devoted to video poker and all its variations, and Café Casino is no different. From 1 hand games up to 52 hand games, you’ll find all the video poker action you can handle here. From the classic “ Jacks or Better “ games to the famous “ Double Bonus “ games, all your video poker necessities are here in one place! Specialty games are games that are slightly different than slots, poker and normal table games. Specialty games are more lottery and bingo styled games. And just like the rest of the Betting Partners family, Café Casino offers many different Bingo options, Keno, which is like picking lottery numbers, and even a Sudoku Box game. The object of these games is pretty simple, the more correct numbers you pick, the more you win! If you’ve ever dreamed about hitting the lottery like the rest of us, these games give you that chance without having to wait for your state lottery to draw the numbers once a night. 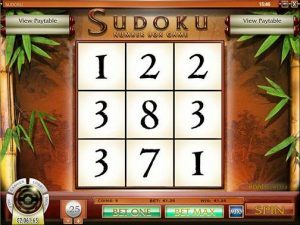 Practice Keno For Free here: Play Keno For FREE! Because Cafe caters to U.S. players, right now they only offer 2 ways to deposit money into their casino. Of course 1 is by Bitcoin , and the 2nd way is by credit card. I will go over each method below. Bitcoin: By far my favorite deposit method is by Bitcoin. Café Casino accepts Bitcoin as a method for depositing funds onto their site. This is an awesome , convenient, fast and cheapest way to make deposits and start enjoying all the casino games right away. This is the only other method for U.S. based players to make deposits. With Bitcoin you can quickly deposit anything from a minimum of $20 up to the maximum of $5000, so choosing this method also allows for a bigger deposit. The first thing you will need is a Bitcoin wallet, or BTC wallet. For those of you that already have and dabble in bitcoin, you probably already have a bitcoin wallet. For those that need to create a bitcoin wallet, please check out my Bitcoin Wallet page to gain an understanding of the different types of bitcoin wallets and read the reviews on the most reliable and trusted wallets for beginning, novice, and expert bitcoin users. Once you’ve set up the wallet that works best for you, you can make deposits to bitcoin friendly casinos such as Cafe, shop online at thousands of online retailers, and transfer money around with complete anonymity. Depositing with Bitcoin also has the smallest fees associated with it due to its decentralization and security features. Café Casino also offers very nice Bitcoin deposit bonuses as I will mention below. Credit Card: Cafe Casino accepts deposits made by credit cards and only accept MasterCard, Visa, and American Express. This is an easy way to deposit funds, and 1 of only 2 methods for deposit for U.S. based players. There’s a minimum deposit requirement of $25 and a maximum of $1000 at the moment. There’s also a processing time of between 1-10days for these methods but I’ve found that my transactions are processed the same day. There are 3 ways to cash out your winnings from Casino Casino at the moment, Bitcoin, Credit Card, and by Paper Check . Bitcoin: My favorite method! It just seems like Bitcoin and gambling go hand in hand and will probably take over as the number 1 method for depositing and withdrawing money from online casinos in the near future. Cafe offers transaction free withdrawals from their casinos for bitcoin users. This is a very nice way to keep all your winnings. In addition to no fees, you can gain immediate access to your winnings by choosing this withdrawal method. You can request from $20 up to $2500 and this usually processes within 24 hours. Like I stated above, you can use both methods to rapidly receive large amounts of winnings. When you finish gambling you can simply withdrawal your winnings right back into your bitcoin wallet for almost instant access to your winnings. With its anonymity and security features, bitcoin is rapidly becoming the digital currency of choice for online gamblers worldwide and especially U.S. players. Paper Check: The most common way to receive your winnings is by requesting a Paper Check. There’s a minimum withdrawal amount of $50 for this method and can only request 1 check per 7 day period. The maximum limit per check is set at $3000 for now. So if you only choose to receive your winnings by check alone, you can withdrawal $3000 every 7 days. If you also used the Bitcoin method in conjunction, you can receive a lot more in the same 7 day period which is convenient for those larger scores. Cafe Casino offers generous deposit bonuses for those looking to gamble on their sites. Right now Café is offering a Welcome Bonus of 500% up to $5000 for first time depositors. If you’re a Bitcoin gambler, you might want to check out their Bitcoin Match bonus of 600% up to $6000 that has a 35x play through requirement. With welcome bonuses like these, Café is making it appealing for all players to check out their site, and especially those gamblers using Bitcoin! Pros: Café Casino is an online casino that was built by the same company as Bovada. They offer many easy, safe and fast ways to deposit and withdrawal your winnings to and from their site for U.S. based players including my favorite method of Bitcoin. Great Welcome bonuses especially for players looking to use Bitcoin. Café tries to keep all the intimidation factors away from their graphics for those not wanting to be distracted and bothered by lots of bright colors, bells and whistles. They offer quick payout times and their customer service department can be reached 24/7, which is a must for online gamblers. Cons: Now for some things that I don’t like so much. Café Casino is another relatively young casino only being around since 2016. Café Casino is only available to U.S. players ( might not necessarily be a con ). With limits on withdrawal methods it will take a little while to cash out large scores, but that’s something that all U.S. players face on all sites for now. Café Casino has the right team in place to learn from their siblings like Bovada and Bodog. Graphics and game selection are good. Being a rather young site, we’ll just have to wait and see what our players have to say over time about them. Just because of that alone, I probably wouldn’t make Café my “ go to “ site, but I will continue to throw them into the mix and see how my results stack up. Hopefully my review has answered some questions and relieved some fears about Café Casino and it’s offerings. Keep it fun and Good Luck!